A native of Sri Lanka who spent her childhood in Abu Dhabi, London, and other foreign countries, Shashi Charles didn’t even see a smoothie until the early 1990s when she moved to America as a teenager. Later, when she became a mom and a runner, smoothies took a more prominent role in her life. Her love of smoothies translated into a winning smoothie recipe for our recent Wild Your Smoothie recipe contest. 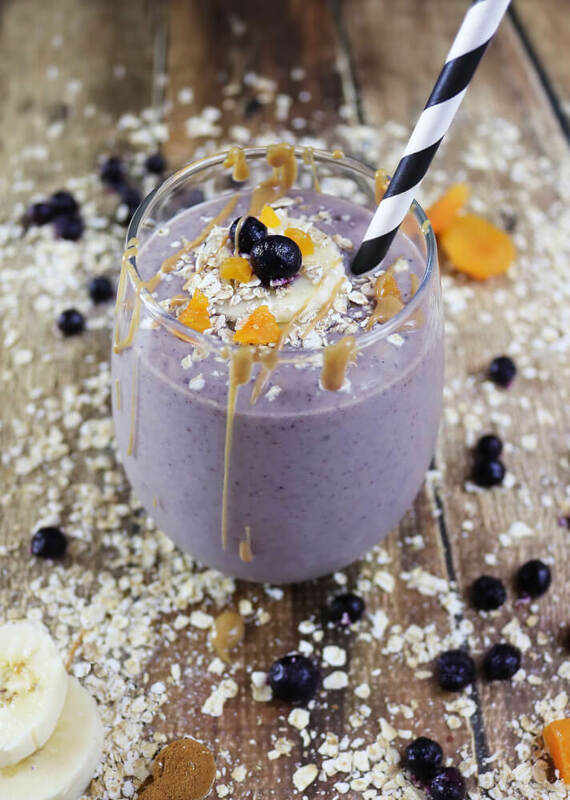 Shashi’s beautiful, healthy and delicious Oatmeal Wild Blueberry Breakfast Smoothie was a runner up in this year’s contest because of its exquisite taste, color and inspiring blend of ingredients. 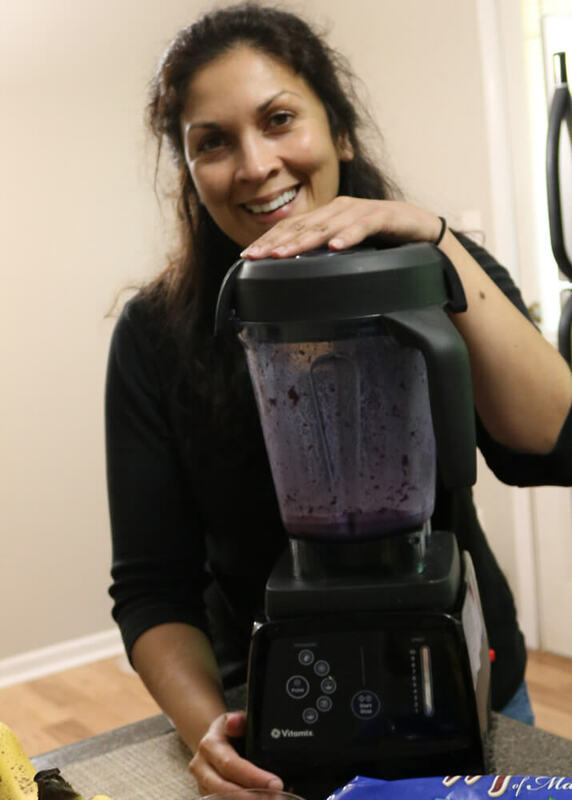 We recently caught up with Shashi to hear her story, learn more about her delicious winning smoothie recipe, and what she loves about smoothies and Wild Blueberries. Shashi’s story is an international one. Her mother was a diplomat from Sri Lanka and her childhood included a healthy dose of travel – and living – in foreign lands. When the time came for their daughters to attend college, Shashi’s parents set their sights on America. “We decided to come to Atlanta, so in 1992 I enrolled here in college,” Shashi explains. After graduating, she pursued a 20-year-long career in print production, advertising, branding, and corporate identity. About four years ago, after quietly following several celebrated food blogs, Shashi launched a blog of her own. Savory Spin (formerly known as the Runnin’ SriLankan), is a foodie website, and Shashi is now a full-time recipe developer and brand ambassador working with the likes of Bob’s Red Mill, Tyson, Progresso, Bumble Bee, Premier Protein, and Sprouts. Her recipes and food photography have been featured on TodayFood, Buzzfeed, Fit Fluential, and The Huffington Post. “I started cooking at a young age, and by the time I was 14, I was cooking dinner at home one day of the week because both of my parents worked,” recalls Shashi. “I usually prepared typical Sri Lankan meals, which is like Indian cooking, but with more spices.” Shashi explains that cuisine was a big part of her life, and it was her daughter who encouraged her to launch the blog. 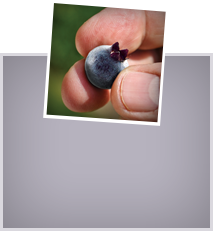 The seed was planted and Shashi took her daughter’s sage advice, launching her blog in 2013. It started out mostly as a hobby but fans and companies started reaching out and it quickly led to business opportunities and sponsored posts. Today Shashi boasts nearly 30,000 Facebook followers. Last September, she decided to blog and develop recipes full time. Smoothies were not part of the culture in Ski Lanka or in the Middle East, where Shashi was raised. In fact, in the Arabic culture of Abu Dhabi, it was strictly forbidden to be seen outside with food. Portable “on the go” foods, such as smoothies, were not acceptable. “I did not grow up drinking smoothies at all,” says Shashi. But in America, when she became an avid runner, Shashi got into the regular habit of making smoothies, because they were something she could take in her car and enjoy on the drive to work. “I started incorporating them about 15 years ago, after my daughter was born and life got hectic,” she says. 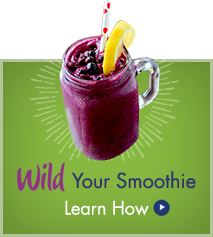 Shashi says the winning recipe for the Wild Your Smoothie Contest took about 5 to 6 attempts before it was perfected. “My daughter helped me as a taster,” says Shashi. “The first attempts did not have oatmeal. Then I added more peanut butter, but that one didn’t work, so I kept trying.” Finally, Shashi arrived at what she and her daughter thought was a desirable blend of ingredients. Peanut butter. Shashi says she uses a natural brand of peanut butter and she likes the protein that this ingredient offers. Shashi admitted to being in a “smoothie rut” before entering the Wild Your Smoothie Contest. 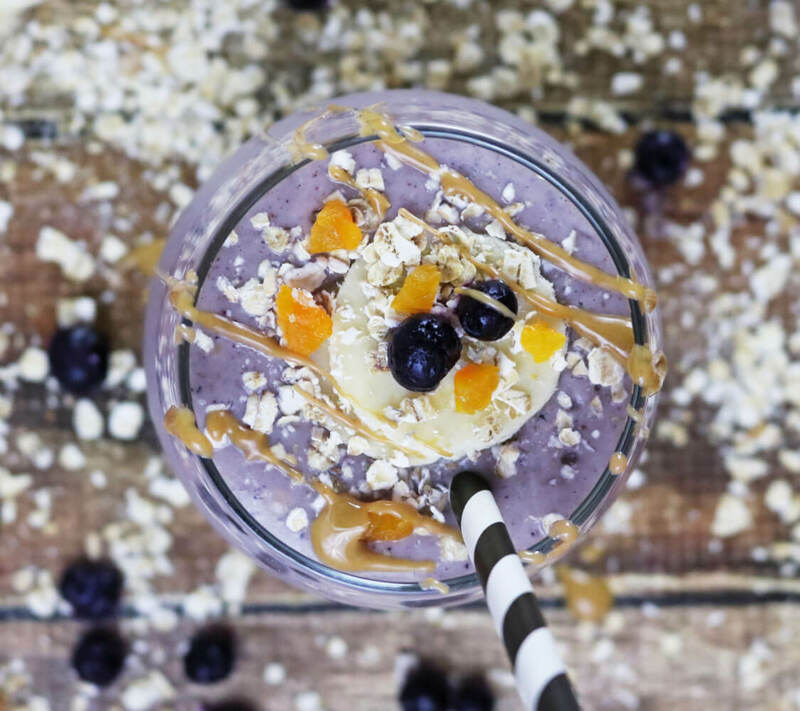 Well, she really broke the mold with this smoothie recipe, and you’re going to love how she blended together a common list of ingredients into something truly special. We also noted that Shashi included two alternatives for her toppings – one decadent and one naked. After all, not every smoothie lover is alike. Congratulations, Shashi! 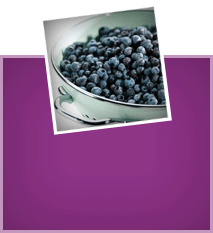 We love your Oatmeal Wild Blueberry Breakfast Smoothie. 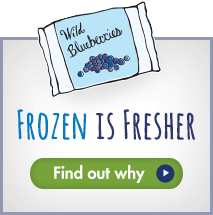 Add frozen Wild Blueberries, coconut milk, dried apricots, banana, oats, 2 teaspoons peanut butter, cinnamon, and vanilla extract to a blender. Blend on high Pour into a glass, and if so desired, top with a few banana slices, apricot chunks, oats, and melted peanut butter and enjoy!